A boy makes a series of bad decisions after his father bans him from reading books. A Jewish family is forever changed when a boy with a Neo-Nazi background is thrust into their lives. A man’s epic downfall is narrated through a beer ad. An arthritic grandmother hopes to serve justice to an untouchable, evil sheriff. A heavy-metal rocker’s life takes a radical turn during the 1992 LA riots. These are a few stories in Bloodshot and Bruised, a blistering collection of crime, retribution, and the fragile humanity that survives. Settings range from excessive mansions and freeway gridlock of California to clapboard houses and frozen hunting grounds of the South. Pathos and humor mix to create a complex portrait of Americans under pressure. 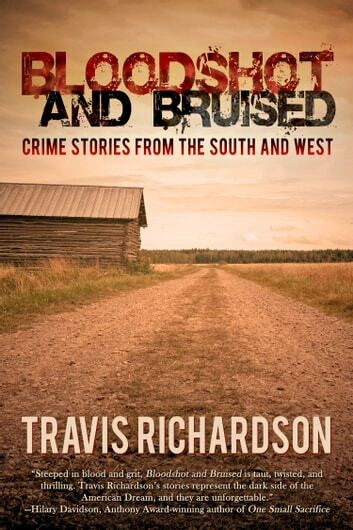 Acclaimed author Travis Richardson presents this collection of sixteen stories including Anthony, Macavity, and Derringer Award finalists. These original tales divided between the South and West will leave an indelible impression on any reader. 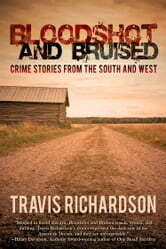 "Travis Richardson proves, yet again, that his name belongs at the top of the list of master short storytellers. Bloodshot and Bruised collects prose both sharp and serrated, then gives rise to a voice that is bleak, uncompromising, and funny. You won't be able to put it down."